Located on the banks of the Wilmington River, Bonaventure Cemetery is one of the most beautiful cemeteries in the South. Cover more of the cemetery's 100 acres on a Segway tour, which lets you glide past rows of live oak trees, dogwoods, and more as you learn about the lives of the people who helped build Savannah. Across from the Savannah Visitors Center inside the Old Town Trolley building. 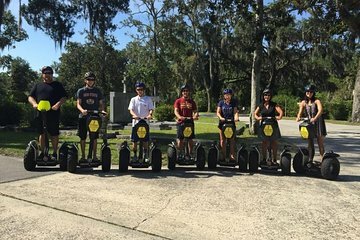 Seeing Bonaventure Cemetery by Segway is the only way to do it. It’s fun and you get to see so much. Our guide was so knowledgeable and very funny. The tour was well worth the money.